Here’s an odd duck I came across yesterday. The strange title coupled with the enormous girth of this book caught my eye in the Historical Fiction section. 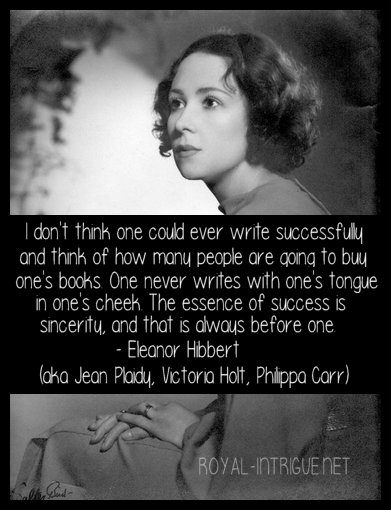 I was also intrigued with the octogenarian author’s life and decided to do a little research. I found a nice review of the book at Novel Matters with a ‘strong recommendation’. 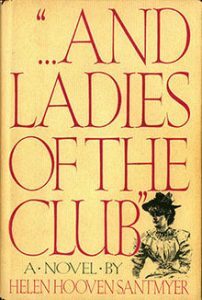 And Ladies of the Club recounts the lives of a group of women in Waynesboro, Ohio, who begin a study club. Over the years the club evolves into a influential community service organization in the town. The book spans decades in the lives of the women involved in the club, between 1868 and 1932. Numerous characters are introduced in the course of the novel, but primary are Anne Gordon and Sally Rausch, who in 1868 as the book begins are new graduates of the Waynesboro Female Seminary. The book flows through decades, as it chronicles the two women’s marriages and those of their children and grandchildren. Santmyer focuses not just on the lives of the women in the Club, but also their families, friends, politics, and developments in their small town and the larger world. Originally published by the Ohio State University Press in 1982 and only selling a few hundred copies, the book was chosen as a Book of the Month Club selection in 1984, making it a best-seller that year. The recognition earned its 88-year-old author critical acclaim and literary recognition; according to the back cover of the 1985 paperback edition, the novel took Santmyer more than 50 years to write.